The entrance to the bike path between East Winter Street and East William Street. Police have developed a sketch of a man who they believe is responsible for an assault of a 17-year-old girl Sunday night. The victim described the attacker as a white male, about 5-foot-8 with a medium build, brown hair with some stubble on his face, and tattoos on both arms. He was wearing a T-shirt and jeans. Police are urging anyone with information regarding the incident to call 740-203-1111. Two incidents on the local bike path along the Olentangy River this week have prompted Delaware police to add extra patrols there. A 17-year-old girl from Prospect, Ohio, said she was assaulted by a stranger on the bike path — near where the path crosses U.S. 23 and River Street on the east side of the Olentangy — about 5:30 p.m. Sunday, police said. The girl told police a man ripped her clothes and touched her inappropriately. Tuesday evening, an 18-year-old Delaware resident was severely injured in a fight on the bike path between East Winter and East William streets, police said. Josef Andrew Hutchinson was assaulted by a 16-year-old boy he knows and was transported and admitted to OSU Wexner Medical Center. Hutchinson was released from Wexner Wednesday night, hospital staff said. 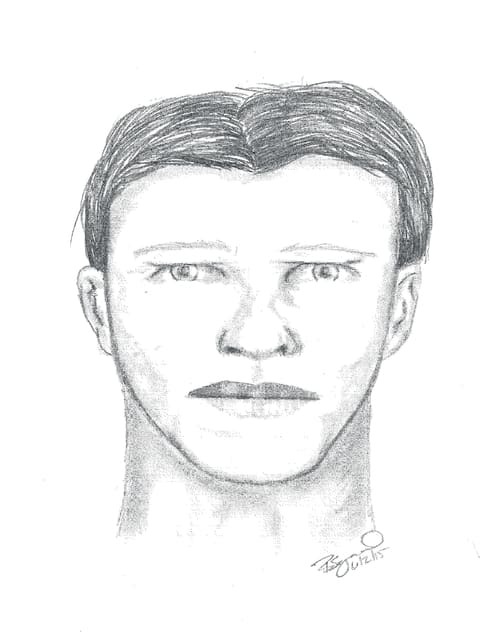 Police have developed a sketch of the man who they believe is responsible for the assault Sunday night. The victim described the attacker as a white male, about 5-foot-8 with a medium build, brown hair with some stubble on his face, and tattoos on both arms. He was wearing a T-shirt and jeans. Police say that both investigations are continuing and no charges have been filed in either case. Police were not releasing the name of the 16-year-old boy involved in the Tuesday fight because he has not been charged.